A Memoir of the Life and Labours of the Rev. W.H. Brett, B.D. London: Wells, Gardner, Darton and Co., 1887. The Guianas–British Guiana–A Description of the country and its inhabitants–The Indians–Houses–Food–Drink–Paiwarri feasts. A SHORT account of Guiana, where Mr. Brett laboured so well and so faithfully, may not be considered out of place here. If; on opening an atlas of South America, the reader will look at the north-east shoulder, he will find several Guianas mapped out. 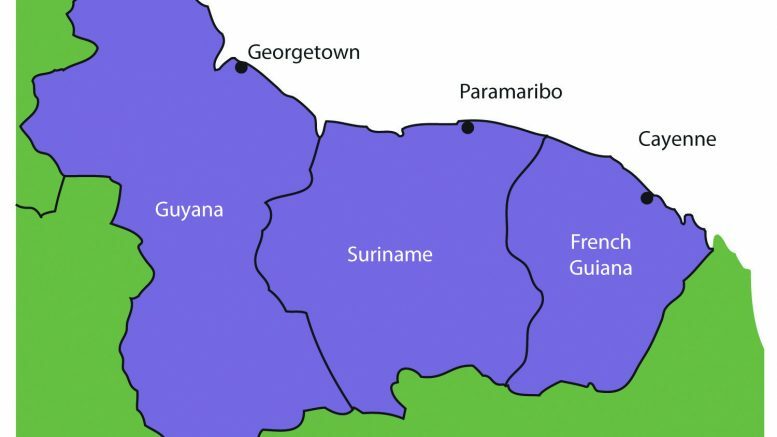 First, there is Venezuela, or Spanish Guiana; next in order is British Guiana; this is followed by Surinam, or Dutch Guiana; and this again by French Guiana, or Cayenne, where there is a well-known penal settlement of France. British Guiana lies between 8° 40′ north lat., and 3° 30′ south lat., and between the 50th and 68th degrees of west longitude. 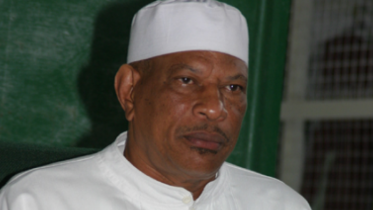 It is divided into three counties, called respectively Demerara, Essequibo, and Berbice, after the names of three of the largest rivers in the colony. The three counties have a coast-line of 200 miles, being bordered on the north by the Atlantic, on the east by Dutch Guiana, on the west by Venezuela, and on the south by the Brazils. Thus the coast-lands are laved by the Atlantic, the trade winds of which make the climate very healthy for about nine months in the year. The thermometer all the year round is at an average of 81 degrees. Guiana was held by the Dutch from 1580 till 1803, when the fortunes of war placed it in the hands of the British and the French. At the time of the arrival of Mr. Brett, the population of the British colony amounted to 98,154, not including Indians, which latter have been variously estimated at 7000, 20,000, and 50,000–so unknown is the interior of the country still. The following table will show how the population–principally through immigration–has been augmented. At the time that Mr. Brett became Rector of Holy Trinity the population had increased to the number of 827,695, whilst by the last census in 1881 it was 252,186, so that by this time the census of 1851 must be doubled, as from three to four thousand souls come from India every year. The chief products of the country are sugar and rum, but several minor industries have been brought to the fore, owing to the depression of the sugar trade; and lately, especially in 1886, gold has been found in paying quantities. Georgetown, the capital, is situated at the mouth of the River Demerara, on its eastern bank. It is a city of some 50,000 inhabitants; its streets are well laid out with canals in the Dutch fashion, and are parallel to each other, running north and south, east and west. The houses are very picturesque as well as pleasant to live in, owing to the beautiful trees, and cabbage-palms, and variegated vegetation that generally environ them. From the statistics above given, one may imagine how motley the crowd is to be met with in the streets of Georgetown, and in every village and estate throughout the country. There stands the European at the head of his establishment, with clerks, either Europeans or natives of the colony; a little farther on you see the wealthy and industrious Portuguese from Madeira, whose position is every day becoming more important: and then we see the ever-busy Chinese dressed in their country fashion, who make capital “sugar-curers” and petty shop keepers. But these are not all; indeed the bulk of the population consists of Africans and their descendants, and East Indians, usually called “Coolies.” As is well known, the Africans were originally brought to the continent of America through the efforts of one of the most tender hearted of men–the saintly Las Casas–for the sole purpose of saving the aboriginal Indians. The Africans and their descendants now all speak English, and they are all nominally Christians. They are fond of gay attire, and many make display of all they possess on their persons. The religious and moral state of these people is still far from what it should be, especially as regards marriage, and the clergy are too few in number to grapple successfully with the situation. For instance, in the parish of Holy Trinity there are only two clergymen of the Church of England for a population of 14,000, on a coast-line of some fifteen miles. A Romish priest divides his time between this parish, a neighbouring one, and a mission among the Indians–a two hours’ pull from our mission at Waramuri–which, by the way, is the only mission of the Church of Rome among the Indians. A Wesleyan minister also visits this parish at times. As regards the “Coolies,” there are Afghans from the mountains of Afghanistan, who are Mohammedans; Nepaulese, whose features remind one of the Caucasian race; a few Bengalese, also a fair number of Madrassees; but the bulk of the East Indians came hither from the North West Provinces of India. The languages spoken by these peoples are various and difficult, but Hindi is the one which is best spoken and the most easily learned. If one knows some Urdu, he will be all the more respected. The religion of the Indian immigrant is either Brahmanism in some form or other or Mohammedanism. Possibly, for every twenty Mohammedans in the colony there are seventy-five Hindus and five Christians. The Church has still a great and arduous work before her ere all these nations are brought to the full knowledge of the Gospel of Christ. There is another race to describe, which is the one above all that owes so much to the noble work of Mr. Brett–the aboriginal Indians. These are easily distinguished from the rest of the population by the copper-like tint of their skin. They are quiet, unobtrusive, and in the towns and on the coast seem as though they were wanting in ordinary intelligence. They seldom look at one full in the face. The women’s eyes are a pattern of what a modest woman’s eyes should be, being generally turned in the direction of the ground. They are apathetic to an astonishing degree. They do not seem to feel like other folk; their sympathies appear dormant. When we look back and see the wonders accomplished by Mr. Brett, we must, however, conclude that the love of God in sending His Son to save them did really and truly touch their hearts. The Indians in the town and the Indians in their forest home are different beings, however. When on the coast or in town, they feel out of their element; they are seen best at home in their Benabs. The Benabs are of three different types. The Warraus build their houses on piles in swamps; the other tribes that reside in the forests are sheltered on all sides, and they merely put up a roof on slender posts, but on the open savannahs they build their homes with thick clay. The furniture is of the simplest kind and very scanty. It consists of a hammock, a few wooden stores, a bow and arrow or gun, and a few pots and implements for preparing the cassava bread, which is the staple food of the country. Their meat is the produce of the hunting- field, which is chiefly eaten in the shape of “pepper-pot.” This is a preparation consisting of peppers and cassareep. The cassareep is a highly poisonous juice of the cassava, which after being boiled becomes a thick liquid. During the process of boiling it loses its poisonous property. This cassareep mixed with meat and fish of all kinds serves to preserve them, and it imparts to them its own pleasant flavour. Unless we are much mistaken, the celebrated Worcester sauce is a composition suggested by this very mixture. This dish, by the way, is very common on the coast-lands among the other residents; and there are houses which boast of never allowing it to run down, by replenishing it. The meal of the grated cassava, as has already been said, forms the staple food of the Indians. This is allowed to dry, and then broken and forced through a sieve into powder, and is used for bread-making, which is of the simplest manufacture. It is first spread on a large, generally circular, iron plate, and levelled off by a woman, by means of a fan. The heated iron first bakes the bread on one side and then on the other, and then it is placed on the roof of the house to dry properly, after which it is ready for use. It may be kept for an indefinite time. In time of scarcity the Indians manage to subsist on wild berries and many other natural products of the country. The favourite drink of the Indians is the paiwarri. It has been said that the Gospel is accompanied by the rum- bottle; but these would-be cynics forget that almost all peoples have national drinks of their own, and that such terrible revelries as disgraced the past are numbered among the things that were. It is also forgotten by many that rum, after all, is not a European drink, but that it was originally imported into Europe from the West Indies. These remarks are not intended, however, to justify the European practice of bartering among the Indians by means of rum. It is well known that the Portuguese do an immense amount of harm by this means. But to return to the national drink of the Indians–paiwarri. It is made from cassava bread baked to brownness, broken into large jars or other receptacles, and mixed with water. The process by which fermentation is induced is rather disgusting to the European imagination. The women, whilst they are busy with their household duties, take fairly large pieces of this cassava and masticate it, and when it is done to a turn, replace it in the pot. This mixture, after it has been allowed to stand for some days, ferments, and is then in a fit state for drinking. In days gone by the Indians had periodical drinking bouts–men, women, and children journeying for some hours or days on purpose to have a thorough carouse. The giver of the feast was generally a man who had had a particularly good crop of cassava, or one of the headmen or captains of the place. The morning after the arrival the feast began in earnest; the men were all painted, up, carrying their weapons and a few flutes made of reeds or animal bones. They danced and drank as long as they were able. These drinking bouts fired their brains, and frequently led to quarrels, and sometimes murders. Be the first to comment on "The Guianas-British Guiana–A Description of the country and its inhabitants"